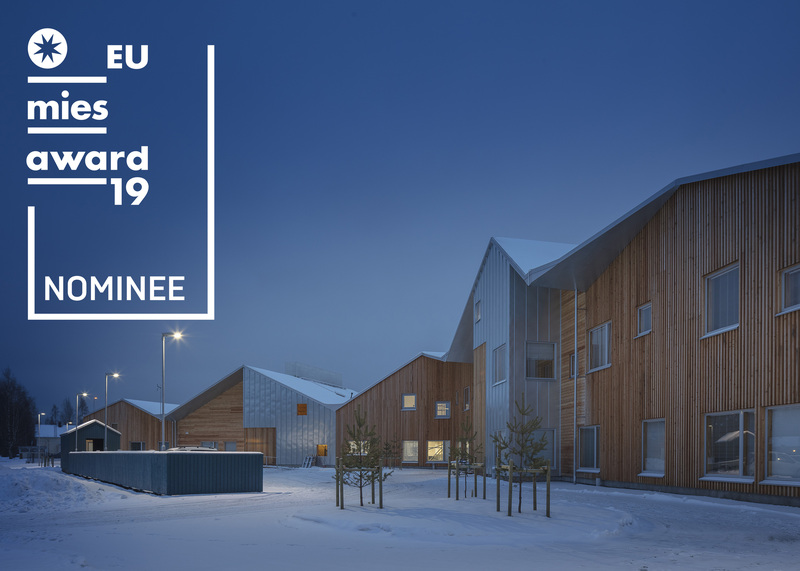 We are happy to announce that two buildings designed by OOPEAA have been nominated amongst the candidates for the European Union Prize for Contemporary Architecture – Mies van der Rohe Award 2019. Launched in 1987, the European Union Prize for Contemporary Architecture – Mies van der Rohe Award is one of the most prestigious acknowledgments for European architects. Funded by the EU Cultural Programme and the Fundacio Mies van der Rohe – Barcelona, the biannual prize gives credit to professionals who are developing the architectural practice through new ideas and technologies, to build better spaces and cities. 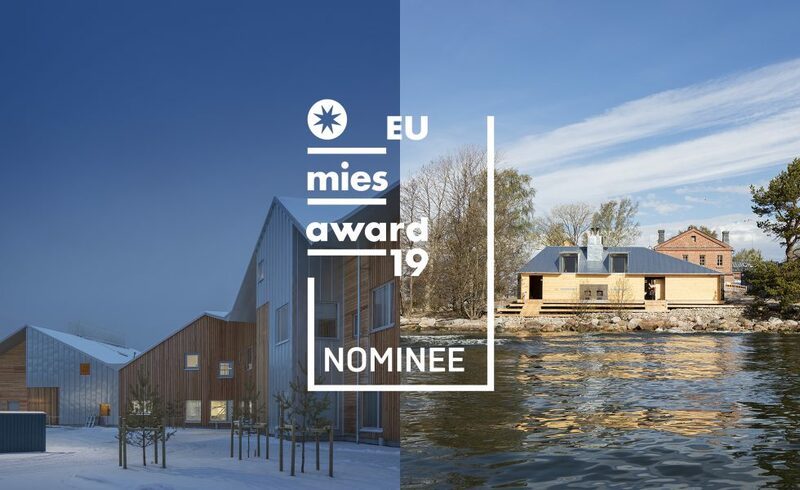 We are glad to see the work of OOPEAA nominated once again as candidates for the prize, this time with two projects, the Lonna Sauna, a contemporary public sauna made of hand-carved logs on the Island of Lonna just a ten-minute ride away from the very center of Helsinki, and the Taika Kindergarten, a space designed with the needs and scale of the children in mind to create a place of daycare and overnight care well in line with the values the Nordic culture. The work of the office has been nominated also in several previous editions of the prize. In 2017, Puukuokka One, the Suvela Chapel and the Periscope Tower were all three nominated for the award, with Puukuokka One and the Suvela Chapel both included in the final shortlist of 40 projects for the 2017 award. Kärsämäki Church and Kuokkala Church were selected as shortlisted projects respectively in 2005 and 2011, and House Riihi was nominated for the 2015 award. Lonna Sauna, which opened to the public in 2017, offers a refuge from the hustle and bustle of the city and its busy everyday. Situated on the small island of Lonna just a ten-minute boat ride away from the Central Market Square in Helsinki, it gives a contemporary expression to the tradition of public saunas in Finland and provides a chance to enjoy the special bathing experience offered by the wood heated sauna in the Finnish archipelago. With views framing the silhouette of the city on one side and opening towards the see on the other, the compact 190 m2 sauna is built with masterfully handcrafted wooden logs that are left untreated. It has a sculptural pitched roof in zinc plate. Heated with wood-burning stoves the Lonna Sauna recreates the calm and almost sacred feeling of the traditional Finnish sauna, while placing it in a new, contemporary architectural frame. The skillful use of larch in the furnishings and the large windows opening a view from the sauna loft into the archipelago create a soothing and relaxing atmosphere. A terrace directly accessible from the sauna rooms as well as from the outdoor shower space bridges the sauna with the seashore. You can find more images and information about the Lonna Sauna here. The Taika Kindergarten building is carefully designed with the needs and the scale of children in mind in order to provide them an experiential and friendly space. Taika opened its doors to serve Seinäjoki families in January 2018, and it has been well loved by the staff and the children alike since the beginning. Despite the relatively large number of children served (225 children in daycare and up to 60 children in overnight care at a time), Taika offers a home-like scale. Taking its cue from the Ostrobotnian traditional barn in the open field, Taika is shaped like a large barn. Yet, it is colorful and full of light and its star-shaped plan serves to provide rhythm and to create a sense of a home like scale. With its flexibly adapting naptime spaces, its highly practical foyer areas equipped to deal with the challenges brought along by the Nordic weather and the high demands it poses on handling children’s outdoor clothing, as well as the pockets of loosely separated outdoor areas each with its own porch to provide shelter from rain and to serve children of different age groups, the Taika Kindergarten is a great example of the contemporary Nordic approach to the design of kindergarten buildings. You can find more images and information on the Taika Kindergarten here. The Taika Kindergarten opened its doors to serve Seinäjoki families in January 2018. Like a barn from the outside, Taika is colorful and full of light, and loved by the staff and the children alike. The Taika kindergarten is now in the middle of its first fall season. It was completed just at the end of last year and it welcomed its first pupils in the very first days of January this year. The new kindergarten has been extremely well received by the children, their families and the teachers and educators alike. After having experienced the winter with a lot of snow and the unusually warm and sunny summer in the new premises, the little pupils are now eager to see how the kindergarten with its yard adapts as the season changes yet again. The building is carefully designed with the needs of children in mind in order to provide them an experiential and friendly space. The star-shaped plan serves to provide rhythm and to create a sense of a home like scale in a building designed to provide childcare for a relatively large number of children. Taika offers childcare for 225 children between ages of one and seven as well as a place of work for 50 staff members. Taika also serves families with parents with shift work schedules offering overnight care for a rotating group of 200 children with a maximum of 60 children spending the night in the kindergarten at a time. This means that all overnight childcare offered by the City of Seinäjoki to its residents is now gathered under one roof. Taking its cue from the Ostrobothnian traditional barn in the open field, Taika is shaped like a large barn. Yet, it is colorful and full of light. With its flexibly adapting naptime spaces, its highly practical foyer areas equipped to deal with the challenges brought along by the Nordic weather and the high demands it poses on children’s outdoor clothing, as well as the pockets of loosely separated outdoor areas each with its own porch to provide shelter from rain and to serve children of different age groups, the Taika Kindergarten is a great example of the contemporary Nordic approach to the design of kindergarten buildings. For more information on Taika, see the project presentation here. 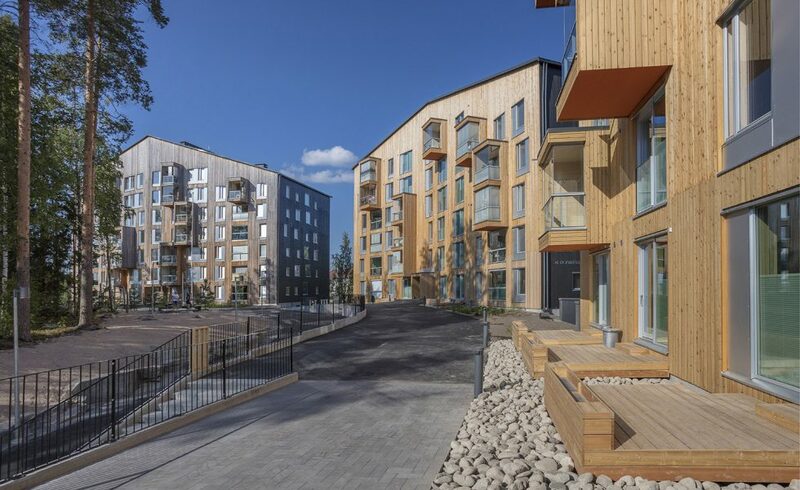 With Puukuokka Three having gotten ready to welcome its new residents in August this year, the energy-efficient and ecological trio of multi-story wooden apartment buildings forming the Puukuokka Block in the Kuokkala suburb in Jyväskylä is now complete. The Puukuokka housing has been extremely well received by the residents who praise it for creating a comfortable living environment with an excellent framework for a friendly and socially stable neighborhood. Completed in the spring of 2015, Puukuokka One was the first eight-story high wooden apartment building in Finland. Puukuokka Two was completed in 2017 and Puukuokka Three in August 2018. In its entirety the Puukuokka complex offers homes for 184 households from single dwellers of all ages to families with children. The Puukuokka buildings explore the potential of modular prefabricated CLT construction to provide environmentally responsible and affordable housing of high quality. Puukuokka´s solution makes the best possible use of the technical and aesthetic qualities of CLT and creates a wooden building in large scale with a distinct architectonic expression of its own. Puukuokka served as a pilot case to develop and test a CLT based system of volumetric modules. The entire load bearing structure and frame of the Puukuokka buildings is made of massive wood and composed of prefabricated volumetric CLT modules. Each apartment is composed of two modules, one housing the living room, the balcony and the bedroom, the other housing the bathroom, the kitchen and the foyer area. The block structure combines the sense of privacy of single-family dwellings with the semi-public character of the shared spaces of an apartment building. The vision is to provide the residents with a functional space that is rich in experiential qualities. The block also pilots an innovative lease-to-own financing strategy that aims to support social sustainability by promoting stable communities. For more information on the Puukuokka Block, see here. Habitare Pro is a professional event for design, architecture and spatial design practitioners and enthusiasts taking place concurrently with the Habitare furniture and design fair at Messukeskus in Helsinki, from 12 to 14 September in 2018. Habitare Pro presents an exhibition, an international program, and a B2B event with pre-arranged appointments. The themes of the Habitare Pro Invited Speakers program touch upon matters that play a significant role in the creative work of architects and designers: origin, authenticity, reflection, context, roots and the relationship between man and nature. In his lecture, Anssi Lassilla will talk about the many different ways in which the aspect of roots is relevant to him in his work as an architect. He will discuss the creative process behind his work through reflections on four perspectives: human, time, experience and material. 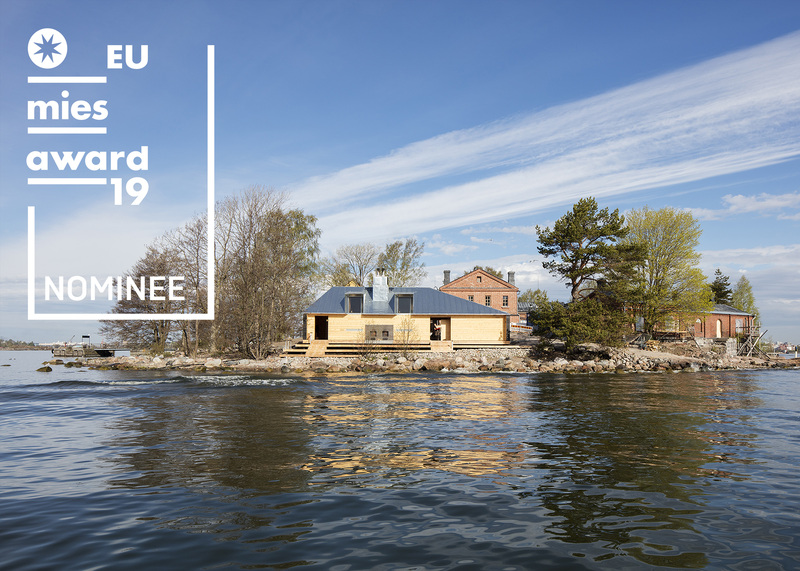 Other speakers in the program include Bolle Tham and Martin Videgård of Tham & Videgård, Minna and Matti Lukander, of Talli Architecture and Design Office, Rainer Mahlamäki, of Lahdelma Mahlamäki Architects, Eero Lundèn of Lundén Architecture Company, and Noel Kingsbury, a designer, writer and teacher from Great Britain. For more information on Habitare Pro, see here. 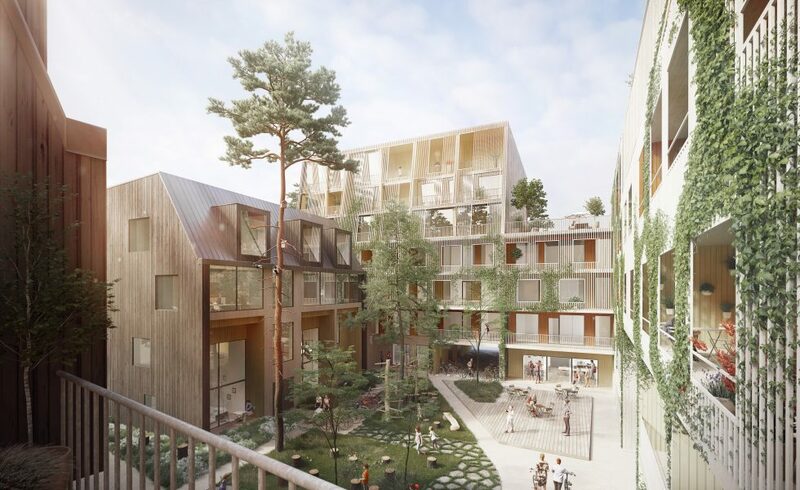 “Kolmen kerroksen väkeä”, Upstairs – Downstairs, Living Together on Three Levels, the proposal by OOPEAA and Lundén Architecture Company wins the design and build competition for an apartment block in the new district of wooden housing in Kivistö, Vantaa in the Helsinki metropolitan area. The proposal is to be realized in collaboration with Reponen Oy as the contractor and Taaleri Vuokrakoti Ky as the developer with the design phaze to start immediately now in September 2018. The competition for new wooden housing in Kivistö was organized by the City of Vantaa. 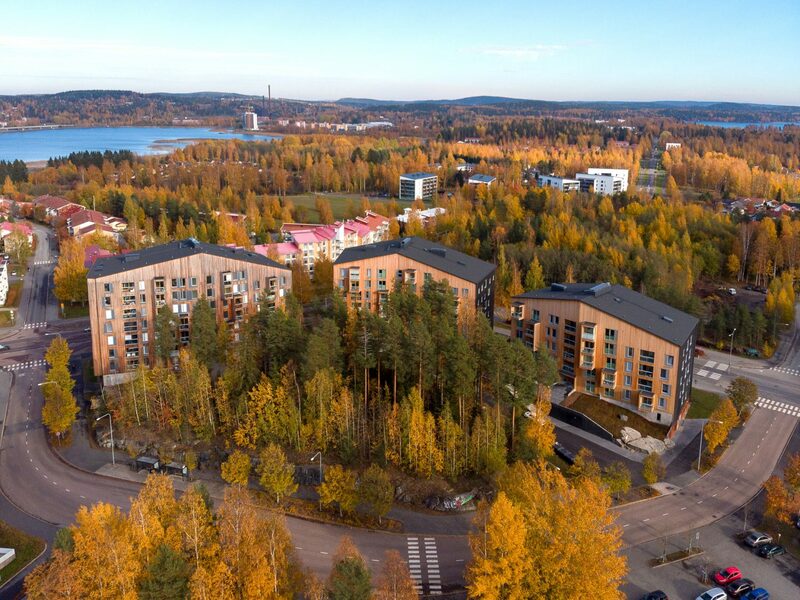 The decision to create a new wooden housing district in Kivistö is part of the commitment by the city to promote construction in wood in order to provide climate conscious development of housing. The goal is to provide a comprehensive housing offer to satisfy the needs of the diverse population in the fast growing newly developing areas in Vantaa in a way that supports a sense of community for citizens committed to ecological values and green spaces. The competition brief also asked to address the needs of bicycling, traffic safety and the inclusion of art as part of the identity of the neighborhood. The competition asked for joint entries with two architecture offices, a contractor and a developer for one or both of the two plots allocated for the competition in the Kivistö area which is currently under planning. The minimum required gross floor area for each of the two plots is 7 500 m2, with a total of 15 000 m2 for the two plots together. Among the many interesting and highly qualified proposals, the entry by OOPEAA and Lundén Architecture Company, Upstairs – Downstairs, Living Together on Three Levels, was chosen as the winner for the plot number two. The proposal takes as its starting point the dual character of the location of the site. One the one hand, located next to a small forest area with a rare population of flying squirrels living in it, the site offers a connection to nature. On the other hand, the adjacent ring rail station serving the area just 500 meters aways makes the neighborhood easily accessible. The winning entry by OOPEAA and Lundén Architecture Company proposes a multifaceted block of wooden apartment housing with an active street level, a multiplicity of communal green spaces both in the inner court yard as well as on the roof terraces of the complex, and a well balanced mix of a variety of different types of apartments ranging from relatively narrow two-story town-house-like apartments to duplexes with individual access directly from the street on the ground level, to apartments with a belt of balconies on the third and fourth floors, and to family size apartments with terraced balconies on the top floors. Each apartment has its own individual temperature control with access for maintenance in the hallway, and special attention has been paid to the design of balconies in order to make sure that the apartments have a good balance of light and shade to provide for an ideal living environment. On the green roofs there are photo voltaic panels to provide energy, and the landscaping of the yard supports the collection of storm water and allows for recycling of the water for the maintenance of the greenery in the block. A special bridge provides a connection between the block and the small forested area next to it. Wood is used as a prominent material in the block. The facade facing the street is of charred wood giving it a dark color while on the interior courtyard side the color palette is of lighter shade with accents of orange, yellow and red. For more information on the proposal, see here. For more information on the competition, visit the competition page here. The Allas Sea Pool is a floating sea pool that is operational all year round. It offers an opportunity to enjoy outdoor bathing even in the Nordic winter weather. After the opening of the first Allas Sea Pool in the very heart of Helsinki in May 2016 as a pilot case, the Sea Pool Family is now expanding both nationally in Finlandand internationally around the world. The goal is to offer an experience of the Nordic values of good life by activating people’s relationship to the waterfront and by providing a comfortable and inviting atmosphere. 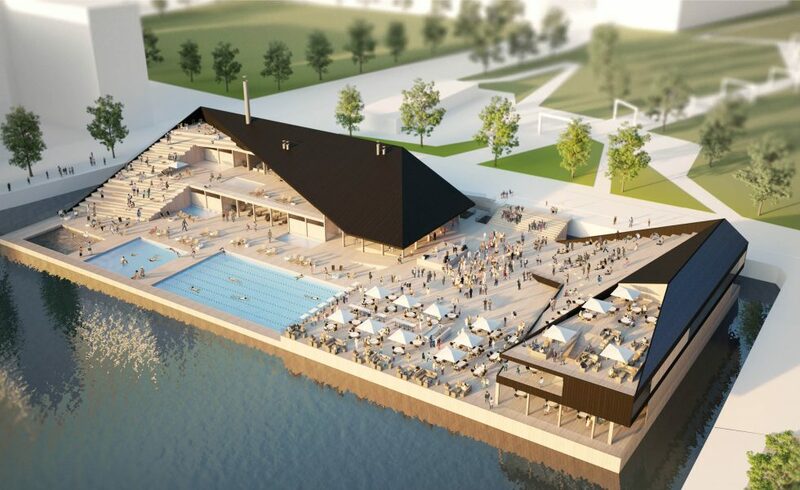 In order to create a new global concept for the Allas Sea Pool Family, an invited architecture competition was organized in April 2018. The proposal ‘New Nordic Urban’ by OOPEAA was selected as the winning entry. The jury praised the proposal by OOPEAA for its impressive outdoor architecture and for its strong concept. It brings together the Nordic sensibility for the contemplation on nature with a healthy orientation towards physical activity and an urban inclination towards the social aspects of life. It is a celebration of the Nordic values of egalitarian sharing and good life. The ‘New Nordic Urban’ is essentially about bringing together the social sense of the urban (to see and to be seen + to share in the company of others) and a chance to enjoy nature and the element of water (contemplation + physical activity and sports). The concept builds on the seamless choreography of movement and transition between open spaces and vistas, semi-open spaces with views, and closed spaces joined by pathways of transition connecting different types of spaces together. It is about the choreography of what is seen and what is hidden from the view, and thechoreography of moving from one type of space and activity or mode of being to another. It is also about how people move, both physically in the space and also mentally through their experience: from the relaxation of the spa and sauna to the engagement in sports and physical activity to enjoying the social aspects of life in the company of others. With a modular and flexible building system, the architectural concept is scalable from the smallest size of 800 to the largest size of 3500m2, and applicable to any site in the world. Combined with a custom toolbox, the modular system opens up possibilities for easy customization depending on variables such as customers’ needs, seasonal changes and local requirements etc. It can be adapted to meet the needs of different audiences. The timber structure made of CLT elements is an ecological choice that allows for flexibility in application as well as for sustainability in the life cycle of the building. Transportation of the modular elements for the partly floating structure is possible to arrange over waterways. For a fuller description of the winning concept by OOPEAA, see here. Allas Sea Pool is a product of collaboration between Töölö Urban Ltd, Bluet Ltd, Marinetek Ltd and several other operators. Töölö Urban is a development and investment company that owns and operates the AllasSea Pool, the Culture Factory Korjaamo, the Icepark, the movie theater Amos Rex and the Sofia Future Farm in Helsinki. The OOPEAA Helsinki office is seeking to hire new people to join its growing team of capable professionals. We are inviting applications from architects with experience in working independently and in producing demanding working drawings. Please submit your application by email at hr@oopeaa.com by August 6, 2018. Haemme Helsingin toimiston kasvavaan huipputiimiin lisää taitavia osaajia. Tarjolla on paikka kahdelle Arkkitehdille, joilla on kokemusta itsenäisestä työskentelystä ja vaativien työkuvien tuottamisesta. Seinäjoki is one of the fastest growing cities in Finland. Currently the city has about 62 000 inhabitants, the urban area about 150 000, and the region about 200 000 inhabitants. A new Central Square will create a focal point of the public space of the growing city gathering a market place, a play area and a multifunctional pavilion with a café and a stage for performances in a central place in the city. 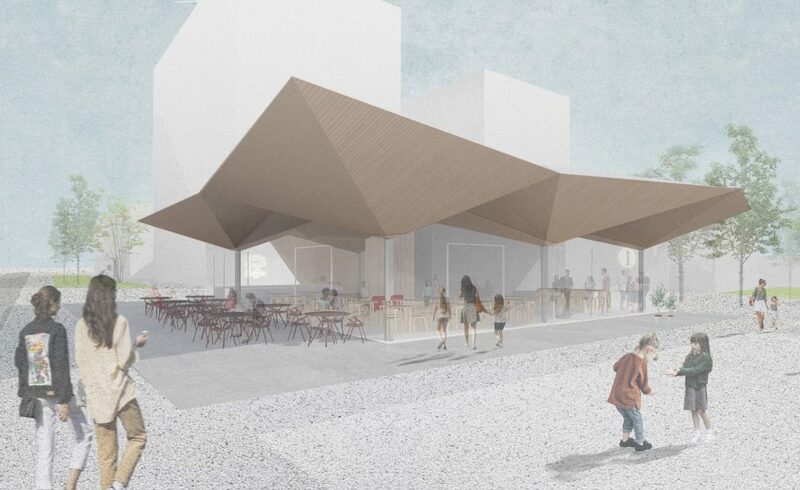 The City of Seinäjoki organized an invited competition for the design of the multifunctional pavilion earlier this spring. Three architecture offices were invited to participate: Avanto Architects, Architecture Office Laatio, and OOPEAA Office for Peripheral Architecture. The competition entries were evaluated with a special emphasis on the following criteria: the way in which the proposed design relates to the surrounding urban landscape, the architectural idea and the overall quality of the proposed concept, the functionality and efficiency of the proposed spatial arrangement and its amenability to work as a multifunctional space, the identity and character of the proposed design, and the practical feasibility of the proposed design. Kontra, the proposal by OOPEAA was selected as the winner of the competition. Kontra, the proposal by OOPEAA aims to create a public space that supports the identity and functions of the new Seinäjoki Central Square offering a harmonious counterbalance to the lively market square with a range of varied of activities. The pavilion forms a key element in the overall image of the square. The flow of urban life in the square continues seamlessly inside the pavilion: you are on the square, but under the shelter of a roof, you are in public space, but in a clearly defined place. The extended eaves of the pavilion offer protection from sun as well as rain allowing for a continuity between the outdoors and the indoors. The pavilion firmly takes its place in the public space of the square and gives it a sense of identity while the choice of its materials deliberately creates a connection with the local tradition and enters into a dialogue with the surrounding urban landscape. The use of copper as the material of the roof is a gesture recognizing the presence of the modern tradition of Alvar Aalto in Seinäjoki. It also offers longevity in the lifecycle sustainability of the pavilion. 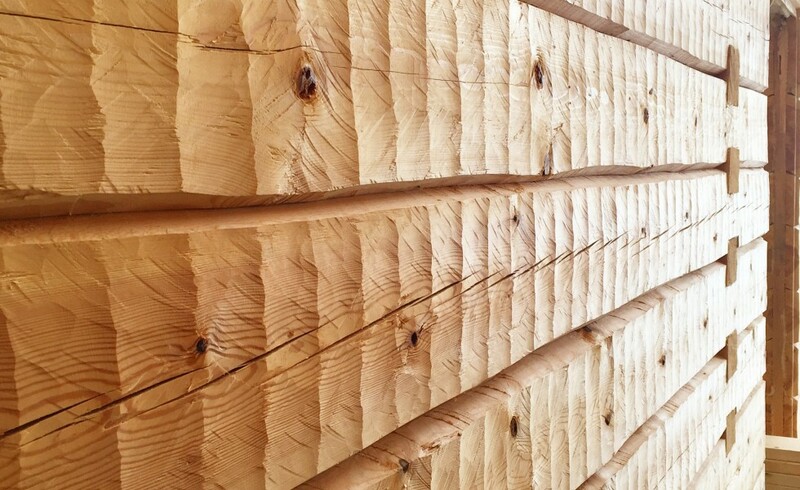 The use of wood in the ceiling creates a sense of warmth and connects the building with the local tradition of skilled carpentry. As a local material it is also sustainable. The use of glass in the walls of the pavilion allows for transparency and makes the activities inside the pavilion visible in the urban space of the square. The pavilion offers people a place in which they can be present in the city, a place in which to be seen and from which to observe the life in the city. For a fuller description of the proposal, Kontra, click here. 13.40-14.10: Elise Grosse, White Arkitekter Stockholm “From I-think to We-think! collaboration and co-creation for innovating a sustainable environment”. 16.45-17.30: Panel discussion (moderator: Peter Andreas Sattrup). 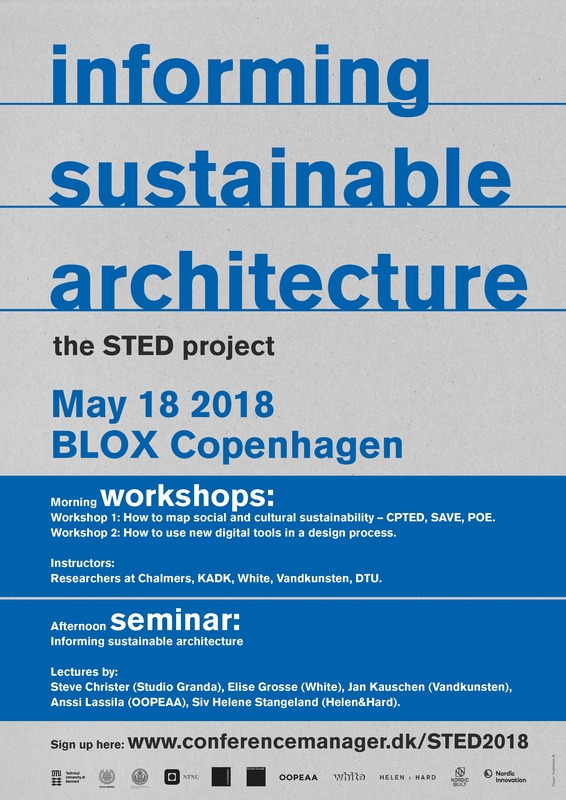 The three-year long research project, STED, Nordic Built – Sustainable Transformation and Environmental Design concludes in a workshop and a seminar at the new BLOX in Copenhagen this weekend. Also a publication documenting the research project is now launched and available to the public. 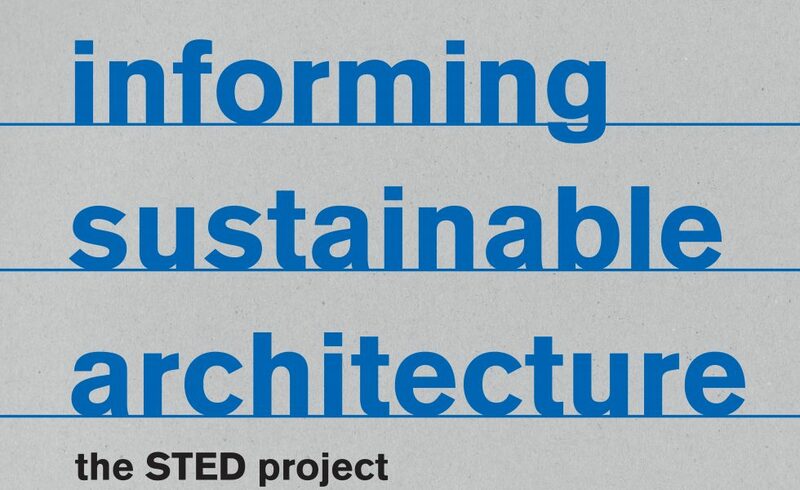 STED has been a three year long project with the aim of developing new tools for making it possible to effectively use an assessment based on Life Cycle Analysis (LCA) as a way to evaluate the sustainability of architectural design projects from the early design stages on. It has provided a successful platform for collaboration between Nordic practitioners and reserachers for developing new design solutions and design processes for construction, renovation and transformation. The project was initiated and coordinated by the Technical University of Denmark DTU. Selected architecture offices with a focus on research and development as part of their practice from each of the five Nordic counties were invited to take part in the project: Tegnestuen Vandkunsten from Denmark, Helen & Hard Arkitekter from Norway, White Arkitekter from Sweden, Studio Granda from Iceland, and OOPEAA from Finland. The project consortium consisted of four research institutions in the Nordic countries: DTU and Kunstakademiets Arkitektskole KADK in Denmark, Norges Teknisk Naturvitenskapelige Universitet NTNU in Norway, and Chalmers Tekniska Universitet CTH in Sweden. The STED research project was funded by a Nordic Innovation grant. For more information on the STED project, see here. Anssi Lassila has been invited by the Association of Architects in Stockholm to give a lecture at the Kungliga Akademien for de fria konsterna. 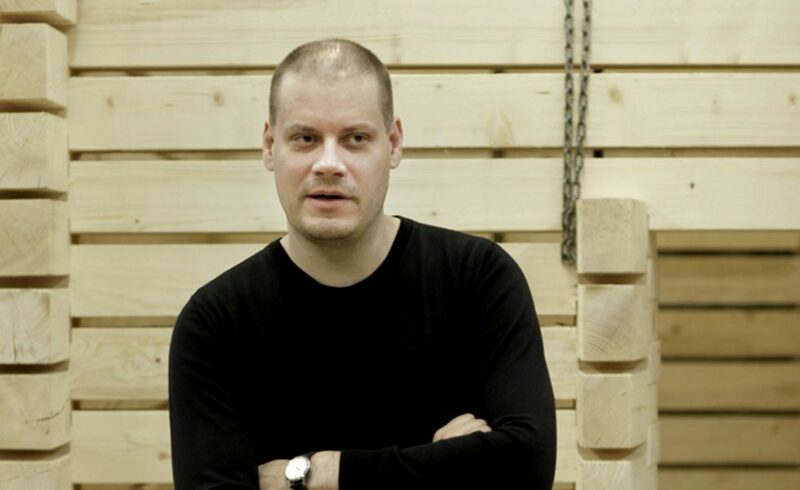 In his lecture Anssi Lassila will talk about the potential of wood in architecture through a presentation of his work. 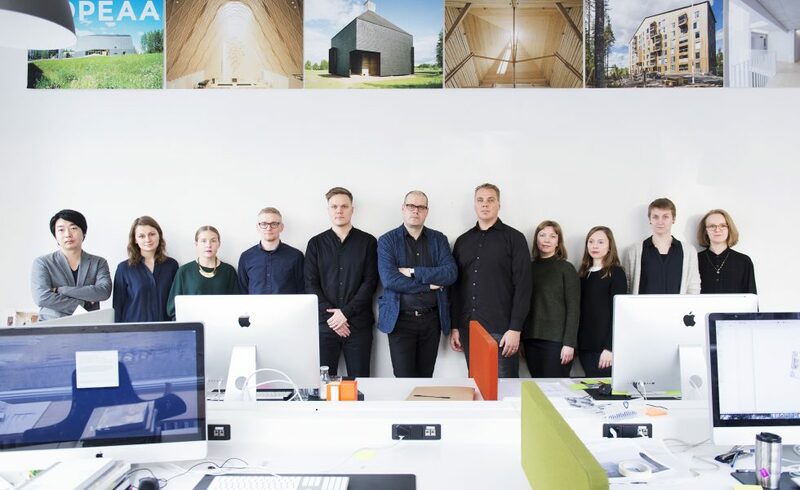 The lecture will display a range of the work the OOPEAA office from the Kärsämäki Shingle Church in 2004 to the Suvela Chapel in 2016 and more, with an emphasis on the innovative works on contemporary wooden architecture that the office stands for. Drinks and snacks from 17:30, the lecture starts at 18:00. The event is free of charge, and there is no advance booking of seats.